This may not be the ideal day for a cheery cry of “Tennis, anyone?” Not because of the weather, which is making up for a late spring with a delightful autumn. 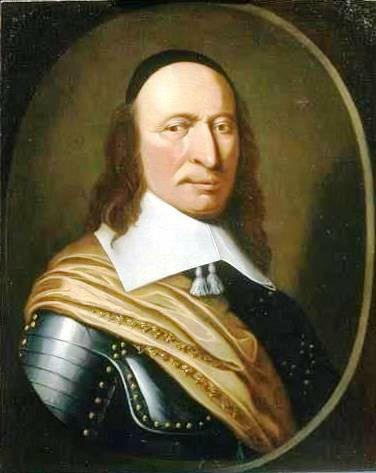 Rather, it’s because September 30 marks the first mention of tennis in North America, in 1659… when Peter Stuyvesant, last Director-General of “New Netherland” before the British took it and made it New York, banned tennis during religious services. I don’t think he meant you couldn’t haul out a ball and start whacking it around the pews while the preacher droned on. He meant you couldn’t have a tennis game outside when you should be in church being bored to tears by some dreary Calvinist sermon. Actually I should be fair to the Dutch. New Netherland had an established church, and not exactly a jolly one. As a historian I try very hard to meet past ages half-way, to find some sympathetic point of contact with their ideas and customs. But I fail badly when it comes to people who are filled with religious fervor based on predestination. It just makes no sense. That said, let me give full credit to New Netherland for proclaiming religious freedom and meaning it, funding a Calvinist church but granting refuge to persecuted Jews and Quakers, among others. Still, Stuyvesant’s irritated proclamation reminds us of two key points. First, frivolous abandonment of often stuffy churches is not a modern phenomenon. The 17th century is not generally regarded as one of religious apathy yet Stuyvesant had to compete with the racket of racquets cries of whatever “40 Love” is in Dutch floating in through the windows. Second, bold rejection of religious orthodoxy in thought and deed isn’t new either. It may be good and it may be not. But we should not congratulate ourselves on having forgotten there ever was a Sabbath because we’re modern and modern is good. They were doing it in New Netherland long before graphite and synthetic rubber gave rise to 250 km/h serves.